3. 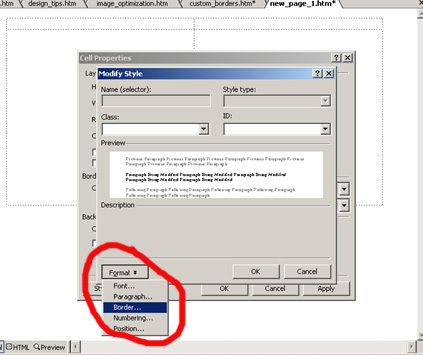 In the Modify Style palette, click on format and select borders. 4. 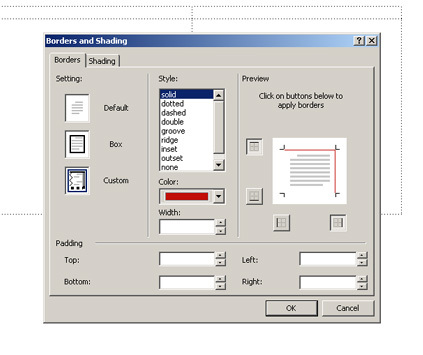 In the Borders and Shading palette, select the border style, color, and width. Click on the border preview buttons to apply the border. 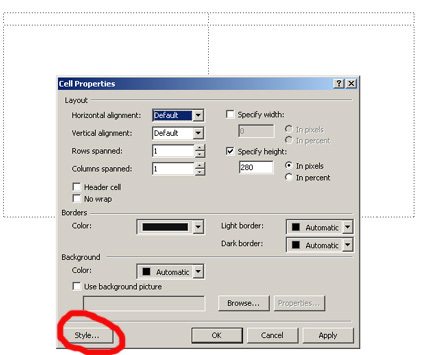 Note: You can use the custom option to apply border to specific cell cell borders.